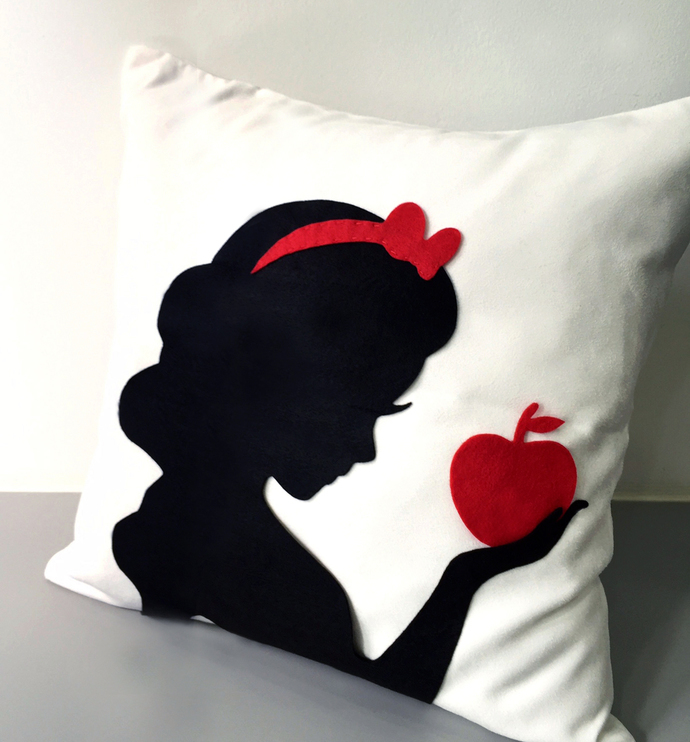 Every girl loves fairy tale : ) maybe every girl once dreams to be 'Snow White'. 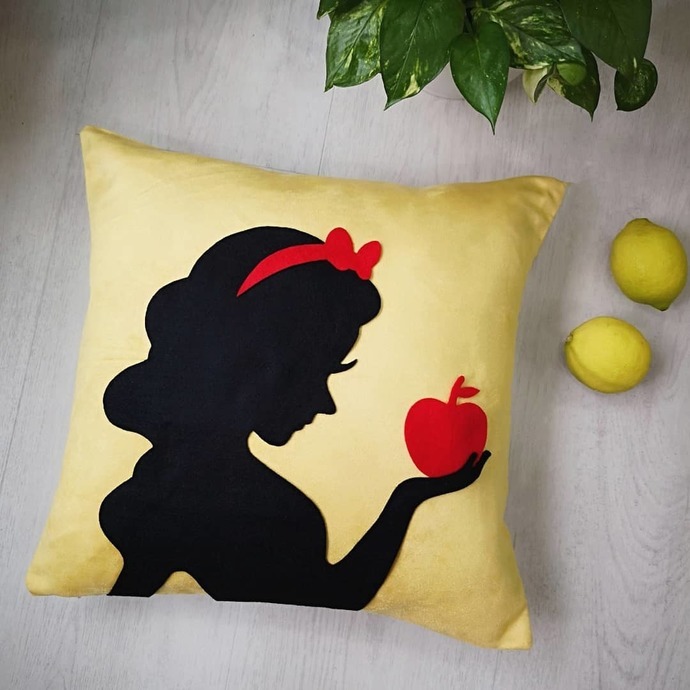 This is an exclusive handmade pillow case. 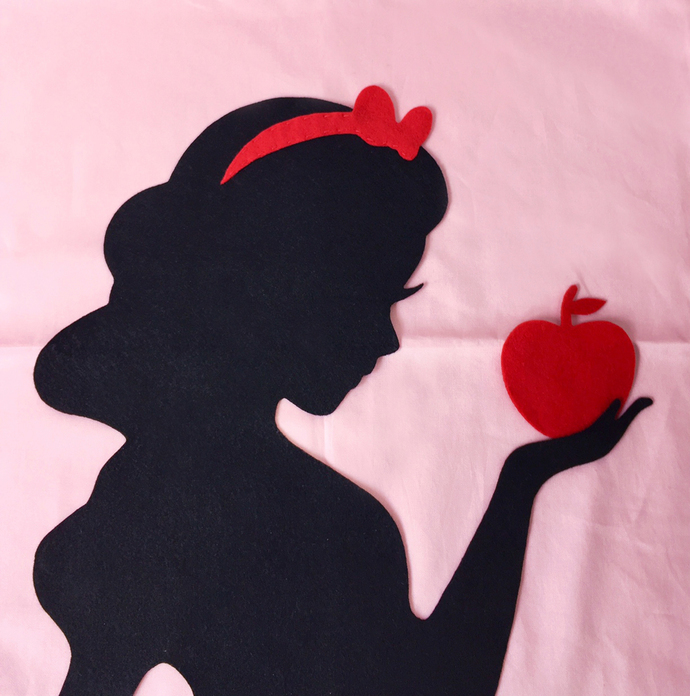 Snow White is hand cut of Recycled Felt. 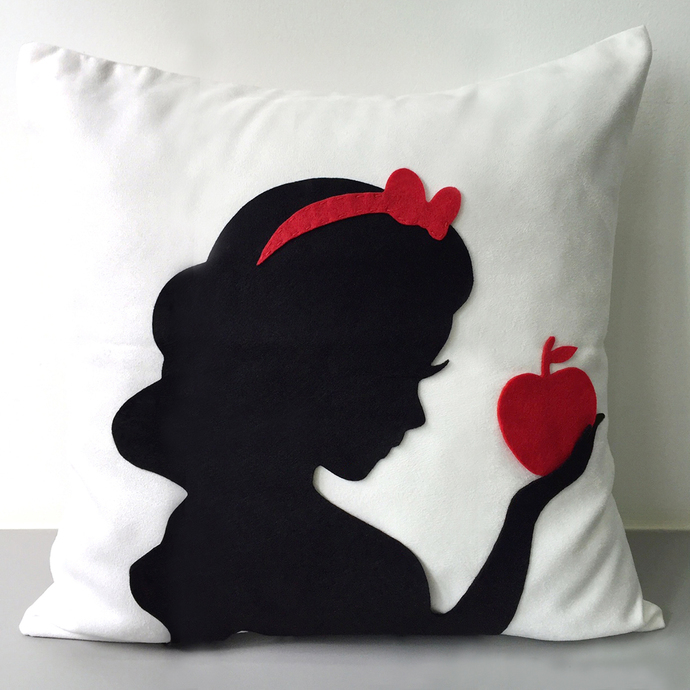 Hand sewn (Not glue) stitch by stitch with time and love, on the front panel of pillow cover only. Back panel is just original color. 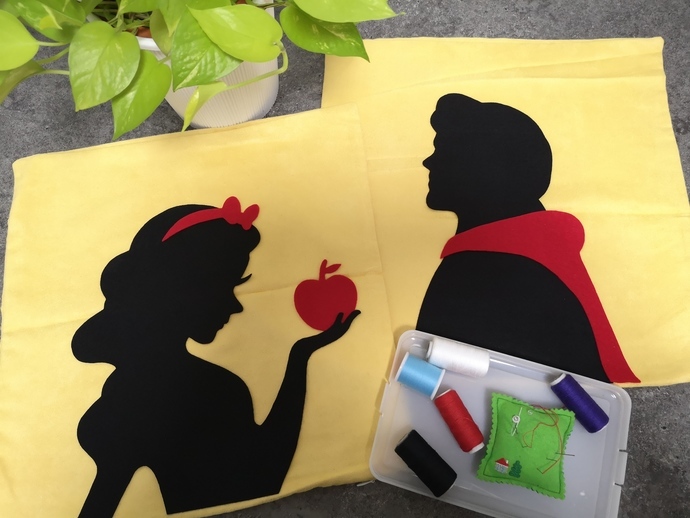 It is 16" X 16", fabric is comfy soft Suede in White, with invisible zip at the bottom for insert removal. **Other base colors are available, pls see the pictures. Please tell me what base color you want!! 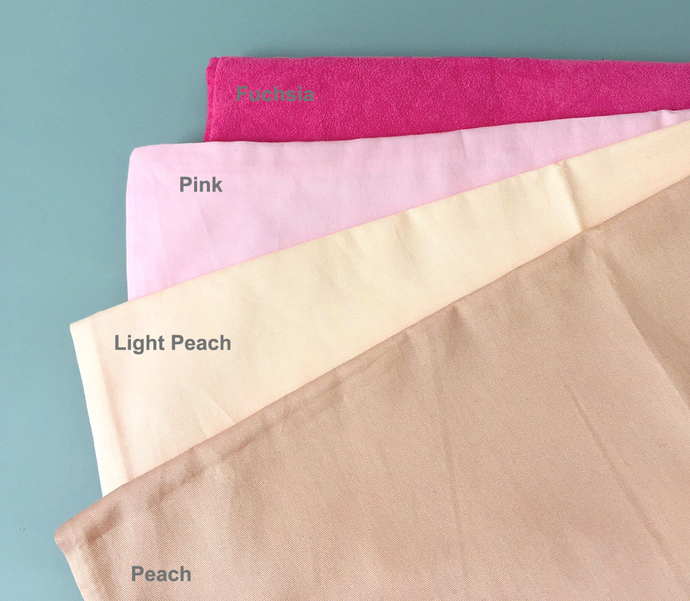 **Pink, Light Peach and Peach are 100% Cotton.